I have been making some new t-shirts for the upcoming months and will be posting two a week in a small series of faces I know. This week we have Eoin and Kat. Eoin is a musician and plays with many other people and in under Oh Ruin. 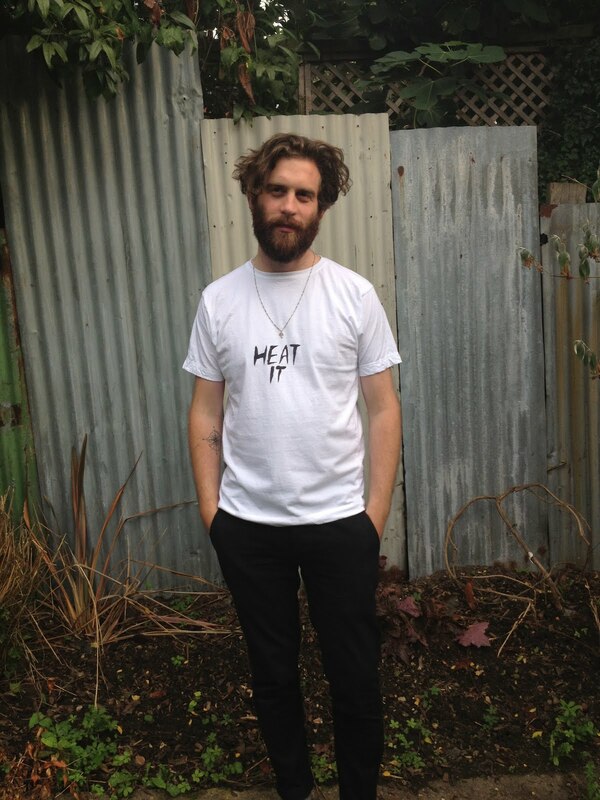 Eoin wears Heat it T-shirt, £25. Made to order. 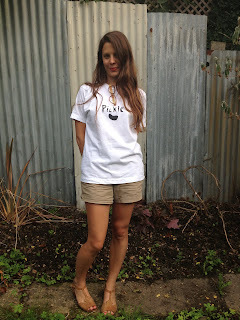 Kat is a designer and has her label Mine, as well as running and supporting designers under the Swanfield Boutique. 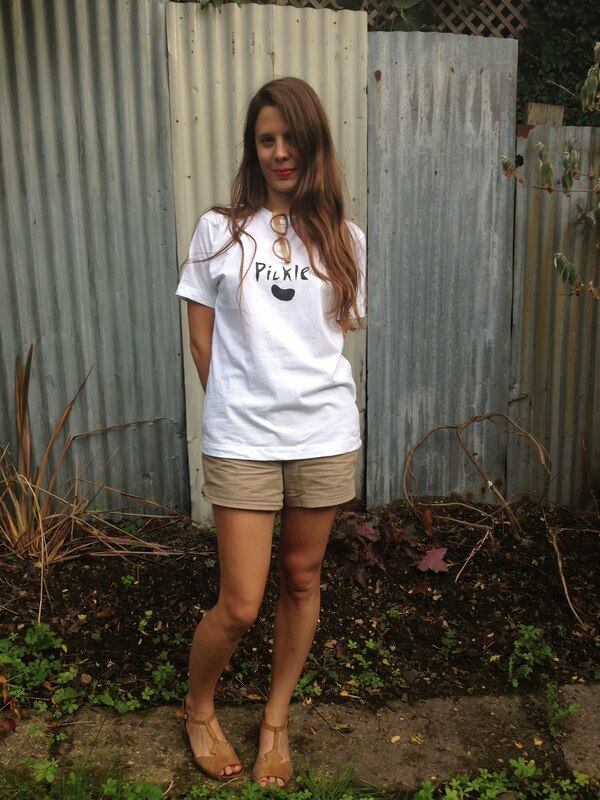 Kat wears Pickle T-shirt, £25. Made to order.